Casting of SENIOR MOMENT, a romantic comedy starring William Shatner, will commence principal photography in the Coachella Valley beginning early April, 2017. The lead character, Victor Martin (William Shatner) is a feisty retired NASA test pilot, often seen racing around town in his vintage hot rod, whose life changes when his license is revoked, car is impounded and he’s forced to navigate life and love again. After plowing into a crowded café and being forced to take public transportation, he ultimately meets his polar opposite love interest, Caroline Summers. Desperate to get his old life back, with the help of his best friend Sal Spinelli, Victor goes up against the DMV and the state’s new District Attorney, whose mission is to get senior drivers off the road. Giorgio Serafini will direct the independent film from a screenplay written by Kurt Brungardt and Christopher Momenee. Gina G. Goff (Goff Productions) and Rene Sheridan will produce with Graham T. McClusky serving as executive producer. As of 4/5/17, casting is still open. 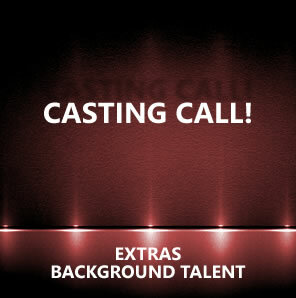 Please send the following info: Photo, Phone number, and an e-mail address to casting@goffproductions.com.